The owner of the Old Siam restaurant is Mrs Lamun Burasit and her English husband. Lamun has lived in the UK for almost 20 years and has had extensive experience of working in and running Thai restaurants. Lamun wanted to recreate a traditional Thai atmosphere within the restaurant and therefore it was felt that teak wood was essential. All the fittings inside the restaurant came from Thailand. The teak tables, chairs and panelling came from reclaimed timber from old Thai houses. This timber is all over 100 years old and came from the old Thai capital Ayutthaya, about 100 miles north of Bangkok. All the kitchen staff have been with Old Siam since we opened. Prior to joining us, our Head Chef was Head Chef at Bahn Khanitha restaurant in Bangkok. We so enjoyed the food we ate there that we decided that she should come to work with us. 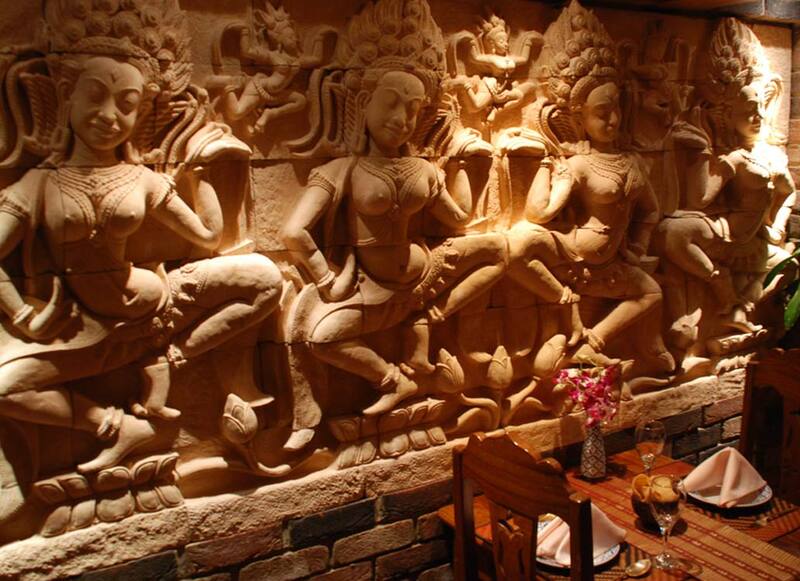 At that time, Bahn Khanitha had won 'Best Thai restaurant in Bangkok' for 6 years running.